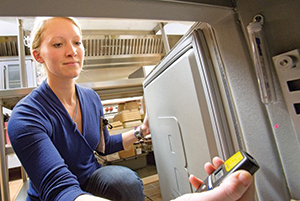 a High School Diploma or GED and five (5) years of progressive experience in food-related work, and a valid, unexpired Certified Professional Food Manager (CPFM) certificate, Food Safety Managers Certification Examination (FSMCE) certificate, SuperSafe Mark Exam certificate, OR a ServSafe certificate. “In-Training” Status: If you are applying under condition 1 of the eligibility requirements, but do not yet have the required work experience, you may apply for an “In-Training” Status registration. You will have three (3) years to acquire the necessary experience to transfer your registration to full-credential status. If you do not acquire the necessary experience in three years, your “In-Training” status will expire. In order to obtain the credential you will need to once again apply and be found eligible to take the exam. Completed Application for CP-FS Credential. NEHA strongly recommends you choose a service that is a member of the National Association of Credential Evaluation Services (NACES). For information on NACES member companies, go to www.naces.org. Official Canadian university transcripts are accepted without a third party evaluation if they are in English. The CP-FS examination consists of a total of 140 multiple-choice questions. Candidates are given a total of two and ½ hours (2.5) hours to complete the exam. There will be a total of 140 items on the examination, 120 of which will be scored and 20 unscored pilot items. The scored items are reflective of the exam blueprint listed below. The CP-FS exam is offered annually at the NEHA Annual Educational Conference (AEC) & Exhibition. State Affiliate and Regional Meetings periodically offer the CP-FS exam at their meetings/conferences. An up to date listing of these meeting/conference offerings can be found here on the Events Calendar. Special test sites may be arranged through NEHA in cooperation with the test vendor, PTI. In order to accommodate requests for special test sites, arrangements must be made a minimum of 6-8 weeks prior to the requested date. The fee to set up a special test site is $350.00. For groups of 10 or more CP-FS candidates, the special test site fee is waived. Please complete the Special Test Site Request form (Appendix A) and return it to NEHA with your application. There must be at least three (3) people taking the exam to set up a special test site. NEHA will email you an authorization letter when your application is processed as approved. The email will have your Pearson VUE ID number and the Pearson VUE website to schedule a testing time. On test day please bring your photo identification (i.e. driver’s license or passport). The scaled passing score for the CP-FS is 650. Your score will be based on the number of questions answered correctly. If you are unsure of the answer it is better to guess. You will not be given credit for any question left blank. Beginning in July 2013, the NEHA CP-FS examination will report scores using scale scores that range from 0 to 900 with a passing score of 650. The raw passing score is mathematically transformed so that the passing scaled score equals 650. This process is similar to the way one adjusts Celsius and Fahrenheit temperature scales. While the values may differ the temperatures are the same. For example, water boils at the same temperature regardless of the scale used. Candidates who pass the examination will earn scaled scores between 650 and above and those who fail earn a scale score between 0 and 649. A scaled score is NOT a percentage score. In summary, a scale score is merely a transformation of a raw score. Scaling is done to report comparable results when forms and raw passing scores vary over time. Your exam results will be mailed to you from the NEHA office 4-6 weeks after the administration. To insure confidentiality, exam scores will not be released over the phone, via fax or email. An individual who fails a credential exam will receive a retake application 4-6 weeks after they tested. The individual must wait 90 days after the date of their last exam before they may retake the exam. There is no limit to the number of times an individual may retake the exam. You may submit your retake application and pay at any time and will receive a notification 4-6 weeks later with information on setting up the exam. Retake applications are valid for a period of 2 years from the date of your last exam. If you do not take the exam within 2 years of your last exam, then you will need to reapply for the credential and pay all applicable fees. To make a request for special accommodations you must complete the NEHA ADA Request Form, including the specific diagnosis of your disability; submit medical records, or other written proof of the diagnosis by an appropriate licensed professional; and the type of accommodation being requested. 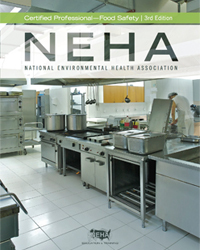 All forms and documentation must be returned to NEHA at least 8 weeks prior to the scheduled test date. To receive a copy of the form please contact Credentialing@neha.org. 2. Submit renewal fees for your credential every two years ($130.00 members; $345.00 non-members).